Channels: By selecting one of the three RGB-channels Silverstack shows the distribution of this color in the image of the video clip. Focus Assist: The focus assist helps you to detect if your image is in focus by detecting the edges of the image. You can set the sensitivity. Clipping: With the clipping functionality you can check which areas of your image clip are either in the whites or blacks. Exposure Range: This option allows you to detect different ranged areas of luminance in your image. Framelines: add frame lines to visualize the clips with a different aspect ratio. More information in the article Frame Lines in the Playback View. Note: You can change the unit for clipping and range in the application preferences. The Silverstack playback controls allow you to control the video preview with standard video controls (figure 3 #1) and the possibility to set IN- and OUT-points (#2) as well as to loop the video and zoom into it (#3). To show the original Log gamma instead to the Rec.709 conversion, select the #4 check box. For video files in the Red format and ARRIRAW sequences you have additional functionality to change the playback resolution (figure 4 #1): You can select various resolutions, choosing between full, 1/2, 1/4 and 1/8. Silverstack is optimized to work with the “Default” settings for Apple retina displays which you can find under “System Preferences > Displays”. Choosing this setting, Silverstack will map 1 media pixel to 1 physical pixel of the display. 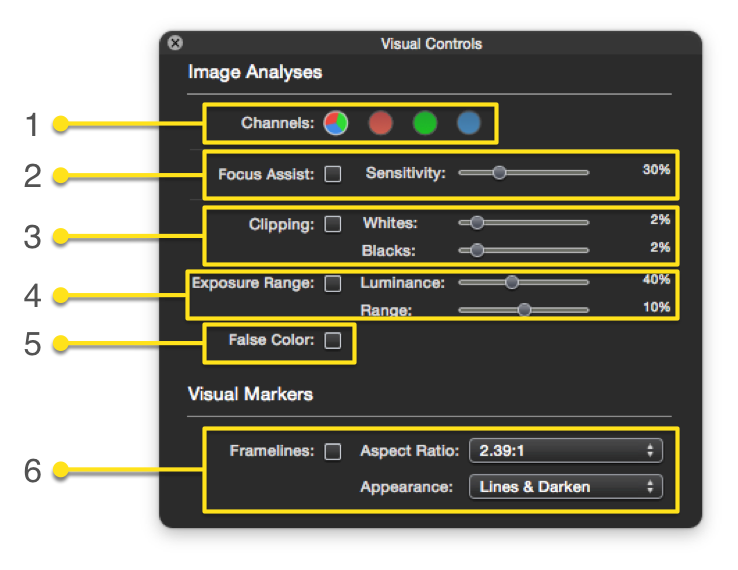 This setting is best suited for visual image analysis such as focus or sharpness.